Your choice of an Enhanced Swedish Massage or a renowned organic Facial. Our classic Swedish Massage is enhanced by mists of pure Neroli water as your feet are massaged with Rosemary & Pine essences and then warm lavender infused towels are applied on the body to impart the ultimate levels of comfort. Our range of Amala facials feature Renew with Rose for firming and renewal; Refresh with Peppermint for deep cleansing and Relax with Lavender, deeply hydrating and soothing for sensitive skin. Targeting the areas that need most attention, this experience begins with a tension relieving Ginger and Juniper Back, Neck & Shoulders Massage transitioning into a mini Amala organic Facial leaving your skin beautifully cleansed and radiant. Sometimes you just need something and someone that goes a little deeper! 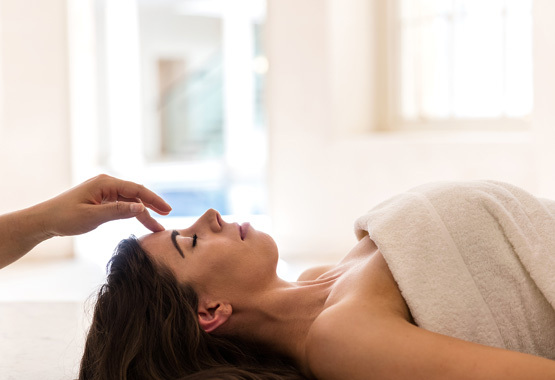 Designed to be invigorating and intensely effective in relieving tension, choose from a 90-minute Hot Stones Massage or a Deeper Target Massage both with warming Juniper and Ginger essential oils. Our Exclusive Couples Suite provides the perfect atmosphere to indulge in a side-byside Enhanced Swedish Massage. 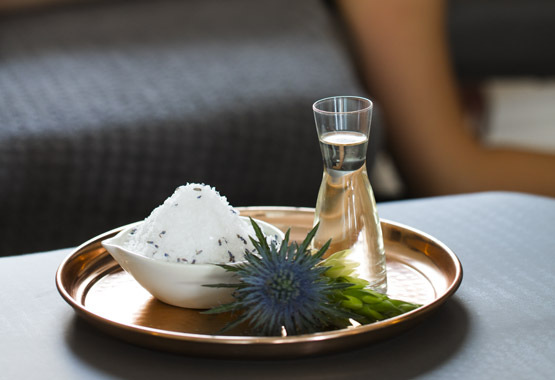 Our classic Swedish Massage is enhanced by mists of pure Neroli water as your feet are massaged with Rosemary & Pine essences and then warm lavender infused towels are applied on the body to impart the ultimate levels of comfort.